Standard Quay Shipwrights Ltd, a not for profit company based at Standard Quay, was set up in 2009 to train shipwrights in the skills associated with the building, maintenance and repair of traditional sailing vessels. 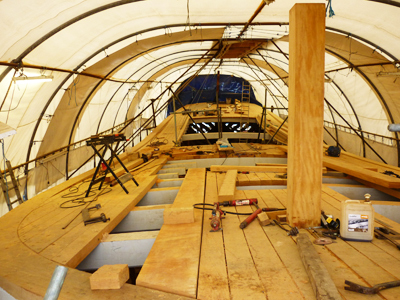 Four apprentice shipwrights have begun their training under the tutelage of Simon Grillet. The scheme ran in 2009/10 for the introductory year in association with North West Kent College. The coming year will see the four Apprentices moving up to a course designed by Simon to encompass all aspects of the skills of a shipwright. The City and Guilds Level 3 Technical Certificate is the core qualification, but the apprentices are learning far more than is covered by this. 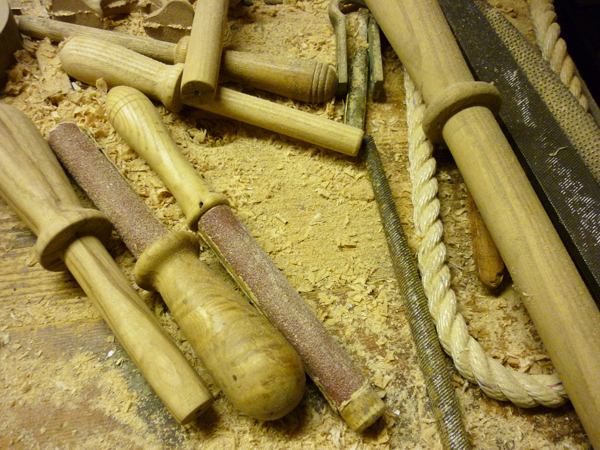 There is simply no recognised qualification that would comprehensively cover all the skills required of a traditional shipwright: joinery, metallurgy and fastenings, appropriate engineering and forge work; pattern making; understanding wood (from tree to sea); rigging and how it works under load; yacht work with fine finishes and barge work with working finishes; ergonomics and anthropometrics; aesthetics; sailing; lofting and how to approach restoration projects. 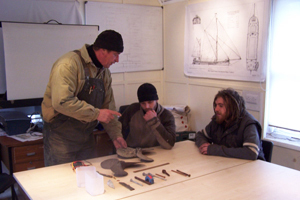 A unique part of the scheme is that it enables the trainees to become qualified shipwrights through on-the-job training rather than attending a fee charging course which most people could not afford. The scheme is sponsored by Rochester Independent College under the Directorship of Brian Pain, which is seeking recognition as a City and Guilds centre to administer the Level 3 qualification. This will keep the administrative costs of the core qualification to a minimum to ensure that any funding raised will go to the actual teaching of the apprentices. We are also grateful to the Headley Trust and to Swale Borough Council for substantial grants which have helped to ensure the future of the scheme for the coming three years. Simon Grillet is finding the experience of passing on his knowledge a challenging but rewarding one. He is very well qualified for the task. He is an RYA Yacht Master but more importantly, a Shipwright. His experience began at the age of 16 with skippering his family’s 35ft sloop followed by early training in yacht joinery at Lowestoft. Employment as a yacht skipper followed and he sailed prewar yachts up to 80ft and undertook five Atlantic and two Pacific crossings. 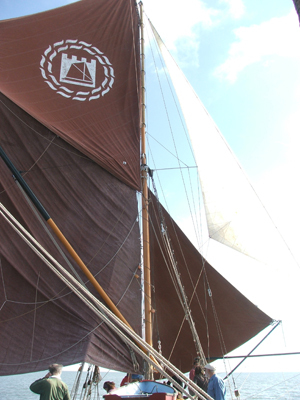 His experience of Thames Sailing Barges began with 4 years Training with John Lewis at Milwall Marine, Isle of Dogs, London working on a range of traditional yachts and Thames barges; including major structural repairs and refit of the 60ft Breton Dundee “Angele Aline”. He then spent some years based in the South of France working as a self employed shipwright, including two years as Shipwright on the 75ft 1929 Alden Ketch “Karenita” during which time the yacht under went major refit and subsequent rebuild of her starboard quarter aft when she was struck by a “J” class yacht during a race; also a major refit of “Clio” 45ft 1927 Cutter, Designed, Built and owned by W. Fife 111. This yacht subsequently won the Concourse D’elegance at the St Tropez Classic Yacht Regatta. Among other projects, he oversaw major structural restoration of the 100ft 1908 Canary Island fishing Boat “Rosa”. Works included replacement and repositioning of the 1½ ton stern post with associated jointing through three decks. 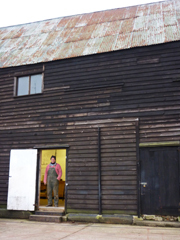 In 1995, Simon set up a work shop in Faversham. 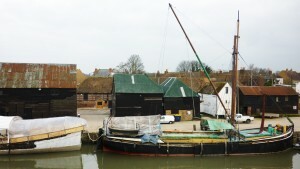 Work here has included a complete rebuild of a 1926 Fife 6 meter class racing yacht and of a 1938 35ft inshore racing sloop; construction of 10meter glass woodcore racing boat in compliance with the RCD and substantial restoration work on the Thames Barge “Lady of the Lea”. Not wanting to waste the wealth of experience he has gained over the years, he became involved, with Rochester Independent College, the Cambria Trust and North West Kent College in the setting up of the Apprentice Shipwright programme based at Standard Quay. This scheme is clearly a very possitive one; old shipwrights eventually die and interest in traditional boats and one off craft is unlikely to stop so hopefully there will be work for the multi-skilled apprentices. As a Swale resident and someone interested in the past of the area and its crafts this kind of set up can only be hailed as really worthwhile, goodluck with it.